An irresistable classic ring, crafted from 18ct white gold. 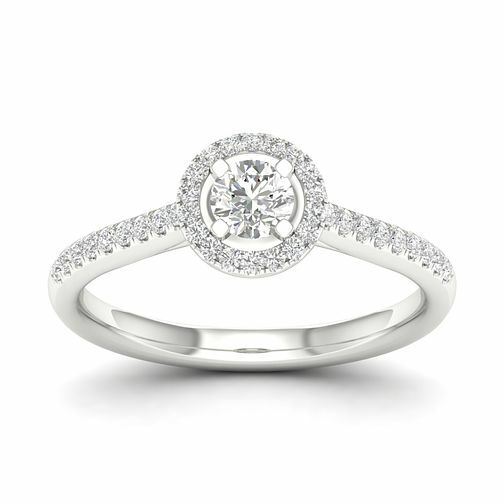 A gloriously gleaming round diamond is set within four claws, complimented with a sparkling halo and shoulders. A classic design to compliment your own magical moment.